Regardless of what you think of Madonna and her other politics (and I’ve been critical of some of those), she refuses to bow to the pressure of anti-Israel, anti-Semitic jihadists and their boycotts against the Jewish state. As I noted previously, she and her daughter, Lourdes, literally wrapped themselves in the Israeli flag in concert in Tel Aviv. She begins her newest concert tour in Tel Aviv in May, again bucking the jihadists and ignoring their terrorist threats against her. That deserves plaudits. And you can write her and her management team to thank them (details here, thanks to readers Miranda Rose Smith and Jonathan Grant). 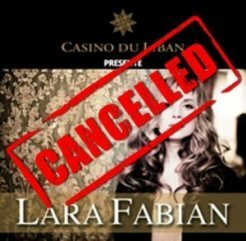 Lara Fabian has performed in Lebanon twice before. . . .
Fabian, who was scheduled to perform on February 14 and 15 at the Casino du Liban in Jounieh, announced on Thursday that her upcoming concert has been cancelled amid an intense boycott campaign by local activists. At issue is her record of involvement with Israel. Ghsoub said over the last few days, representatives from the campaign met with officials at the Casino du Liban along with reps from the state’s economy and culture ministries. They also sent an email to Fabian notifying her of the boycott. . . . I ask you, my readers, to consider buying Lara Fabian’s music to show your support for her support of Israel and her brave stand in refusing to give in to Muslims’ Jew-hatred. If you buy, “Best of Lara Fabian ,” or any of her other CDs or MP3s at Amazon through the link above or the icons, below, a small portion of the proceeds will go to help support this site, too. Get Yours . . .
And don’t forget to write a note of thanks to Madonna for being brave on this front, too . . . even if, like me, you don’t approve of the other things she does. On this important issue, she’s on the right side. Saying no to jihadists and yes to Israel used to be just the right thing to do. Now, it’s also the courageous thing to do. And it deserves to be applauded. Lara Fabian explains (in English) and Sings Her Hit Italian song, “Caruso” About the Late Italian Tenor, Enrico Caruso . . .
Good on Madonna and Lara Fabian. So sick of islamo-pandering and islamo-shakedowns and extortion. I’ve just recently heard of the beautiful singer Lara Fabian. I heard her song Love And Grace on the radio this morning as I was driving into work and I loved the song and how beautifully it was sung. I have also recently returned from Israel. Good on these stars who are willing to stand out, be strong and make up their own minds and not be swayed by what others say or think. While I’m not a Madonna fan (I like some of her music-early stuff but NOT, absolutely NOT “Like a Virgin.” Blech!) thumbs up for this. And by the way, a little off topic, I sure hope Madonna kicked M.I.A.’s *ss for ruining her half time show by flipping the bird during the performance. Debbie, it’s the Lebanese government that I pity for banning Lara Fabian, NOT Lebanese folks (majority of Lebanese folks could careless of politics and/or religion), and we all know that the Lebanese government is in cohoots with hezbollah and also in bed with hamas as well. DS, you do have a point about a good number of Lebanese folks being anti-Israel and anti-semitic, for instance, there’s this artist who’s Lebanese born and also a muslim who goes by the name of “Haifa Wehbe”. Far as I am concerened, Haifa Wehbe is a LIAR and a propagandist, those of us who see’s reality for what it is and knows what’s really occuring remember that hezbollah started that war against Israel by firing rockets toward’s Israeli border cities/towns. And let’s not forget that Wehbe has allegations of racism, by her singing a song that’s called “Where is my teddy bear and the Nubian monkey?”, in which black Egyptians accused the girl of racism by singing a song that enabled racism and discrimination towards black folks, etc. Anything primarily in English that’s she’s done, Deb? She speaks four languages, Italian, French, English and knows some Hebrew! And I hope Fabian returns to Israel more often! We know the so-called BDS movement in fact is dedicated to Israel’s destruction. Its possible to rip the mask off them and show them up for who they really are. I hope they keep right on doing what they’re doing! This includes Christians, Druze and Muslims. Lara Fabian is very talented and exactly the kind of artist pro-Israel supporters should want to patronize. We can thank her bigoted and intolerant enemies in Lebanon, who hate the Jews and Israel, for bring her to our attention. Their loss is our gain! The bulk of Lebanon’s Maronites have fled that country. If a new census were taken, Lebanon would be discovered to be a much more muslim country than generally believed. Its mostly Shiite Muslim with the rest Sunni Muslim. The remaining Christians have accepted dhimmitude. That’s the fate of all minorities under Islam. I have no idea what you are rambling about. Madonna has stated quite explicitly her support for Israel on many occasions. Also, the establishment of a Palestinian state has been on offer for over a decade, but Arafat and Abbas has rejected anything less than a map that would lead to the demise of Israel. As for the establishment of a Palestinian state leading to global peace, it is hard to refrain from uproarious laughter. The world can see what happened when the Gaza Strip was ceded to the Palistinian Authority in 2005. 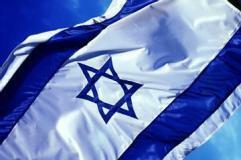 It merely led to an increase in the number of rocket and other actions against Israel. Finally, Islam was engaged in various forms of belligerence long before the modern State of Israel came into being in 1948, and there is no reason to believe that it would stop if Israel disappeared. Islam is the enemy of anything that is not Muslim, including Buddhism, Hinduism, Christianity, Judaism, etc. As the people of Thailand or the Philippines how they are getting on with Muslims. Those are countries with virtually no Jews. A fine performance and its not her native language! The song is is Hurshat Ha’Ekaliptus ????? ????????? – by Naomi Shemer – one of Israel’s most beloved song writers. Roughly – “Grove Of The Eucalyptus. Als sung by Shiri Maimon. No comment on ordo ab chao? ??? ?? ????? ???? ?????. Hehe. This site doesn’t support phonetic Hebrew. Nevermind. I don’t care much for the “material girl” a.k.a Madonna. Just my opinion. For me, the definitive Lara Fabian album will always be Pure- most of the tracks on there are great, particularly Tout, Aleluia, La Diference, and popular favorite Je T’aime. The album following her English release, Nue, is somewhat weak; the only song from that CD that has stayed with me is Rio. In this case,I don t know what to say,I hold Madonna partly responsible for the moral decay of our society,so to be respectful to Debbie I am going to keep my opinion of Madonna and her daughter to myself. If there are any celebrities or stars who are not gutless and mercenary, they should refuse to perform at such venues. Back in the 1950’s, Sammy Davis Jr. was not allowed to stay in the hotel he performed at. Frank Sinatra made it clear to that casino and others that if Sammy Davis was not treated in the same manner as other performers, he would not perform. With the prospect of permanently losing a top tier performer and also garnering some very negative publicity, the casino backed down. Mr Sinatra did not have to do this. There might have been an adverse reaction that would have damaged his career. But, Mr. Sinatra would not stand by and allow his obviously talented friend Sammy Davis Jr. to be degraded in such a way without responding. Are there any “stars” who would think of responding to such Islamic threats in such a way? If you are run an anti-Israel(anti-semitic)establishment, I will not perform for you. If you want another example of stars being willing to boycott a a lucrative venue, one just has to bring up Sun City in Apartheid South Africa. It was located in one of the bantustans(nominally independent ares)of South Africa. By performing at such a place, stars validated the South African policy of consigning the Black majority to reservations instead of according them full citizenship within South Africa. Eventually, these political entities were seen for what they were, including Sun City, and reputable performers and other celebrities stayed away. I doubt that you will see that happening in Dubai or Qatar. Money apparently will draw in many internationa sporting events and performers, even though most Muslims countries will deny admittance to anyone with an Israeli passport stamp. The best thing for audiences to do is to not watch anything being aired from those places, and let sponsors know that you have no interest in supporting anti-Semitic businesses. It is well past time to let the Muslim world know that if it wishes to be bestial, it will no longer enjoy the benefits of the civilized world. Let them live with their burka fashion models and their mechanically nasal prayers. I’m with ex-mosssad and Juan on this thread. But Worry, as always you get me interested in the story-behind the-story in your posts. I love the voice of Sammy Davis Jr. It was just so amazing and if I had my druthers, his voice would have been way more popular than Sinatra’s. I’m not a Sinatra fan and I don’t think his voice is bad at all, but when I hear SDJ I wonder how peeps got all wrapped up on Ol’ Blue Eyes. And I enjoyed your Sun City compare and contrast. I do remember that vividly and I also remember big Liberals like Linda Ronstadt played Sun City when may artists refused (one can You Tube the video from the 80’s to see who refused…I think it was started by Little Steven of Bruce Springsteen’s band). Worry, do you happen to remember who else STILL played Sun City even after that song and the call for divestment everywhere? One should also note that Frank Sinatra was a GREAT friend of Israel and the Jewish people. I love Frank, not just because he was a brilliant artist. I quite agree. A country that hates Jews and Israel, I am not going to visit in my lifetime. And its not just words. No wonder the Arabs hate her and well as for their racism, they can wallow in their Jew-hatred. All of us civilized and decent people have better things to do with the short time we have in this world. For me, any one who loves the Jewish people, I surely return their affection in kind! I would like to clarify some points. The concert was not banned. She has a huge fan base here and it was split between those who wanted boycott and those who didn’t. Officially nothing was banned, but she chose to cancel because she didn’t want to sing with the campaign that was working against her. A lot of disappointed people have been slightly comforted by her promise of a surprise broadcast on Feb 14. Thirdly, just as there are Israelis who hate Arabs for their personal loss, there are Arabs who hate Israelis as well for their personal loss. It generally has more to do with bitterness of war rather than the instinctive need to hate based on religion or culture. It is only natural that a campaign(whether you agree with it or not) has occurred to boycott her concert. It did not ban it; but she chose not to come under such circumstances. If you follow the campaign, it did not mention reference to Jews or Judaism. It was her stance in open support of Israel. It is her right to choose whether she wants to come and sing and it is the right of society here to argue against each other on whether to boycott or not. Another note, is that though Lebanon is a country of many troubles, it is incapable of being dominated by a single religion or political party. It has never happened in history and it will never happen. Beirut is a city where I have attended Passover, Christmas, Adha and athiest gatherings on the same street, and each one of them attended by people of different religions and backgrounds,(and yes, passover was attended by muslims). Watching Lebanon from your media, I am not surprised by the comments I have read. On a final note, for those of you who have a sense of humor, below is a link to a lebanese film I think you should watch. Debbie – thank you very much for the Caruso song. I have listened to it and enjoyed it several times already this morning. NormanF – Thank you for the link to the Hebrew song. I also enjoyed listening to that. She is a beautiful person (both inside and outside). Good job. Noted: Madonna’s involvement with Kabala for a long time. She’s a “menchess?” on all counts. Did you note that material girl skipped Michigan altogether on her current tour. I can only speculate as to why, however I believe she realizes what has mushroomed here in her former hometown. Not a modern music maven but kudos to Lara as well. You don’t know why people would be offended at a group promotes boycotting Israel? How about the fact that groups like that want Israel destroyed. Your “bitterness of war” comment is not based on reality. The reason for the wars themselves is Arab Anti-Semitism, which drives the Arabs’ desire to destroy Israel, which leads to wars, which to leads to casualties, which leads to your “bitterness” theory. Lebanon IS being dominated by one “religion”, that’s Islam. I don’t know when that Passover Seder you referenced took place, but what few Jews if any are still in Lebanon, I doubt they’re feeling very safe now. The boycott itself was a nonviolent one. I am living there so I know. Boycotting Israel to put pressure due to Israel’s actions against civilians is different from calling for Israel’s destruction. Secondly the matter that there are groups that want israel destroyed is not different than groups in israel that want palestinians or arabs destroyed. Also considering all arabs as potential fighters or terrorists to justify the attacks on children and civilians, is not different from the fanatics who justify the killing of every Israeli child or civilian due to the fact that they are potential soldiers of war or mossad. These are facts; there is no heavier weight to lean on one group more than the other due to personal bias, as it is unfortunately the case with most people. Bitterness of war did not refer to religious fanatics, or politicians. I am referring to the masses that are easily manipulated to suit the needs of those who are in power. I am not saying that an anti-jewish attitude does not exist. And I am not saying it didn’t exist before or now or later on. This idea can also be used to debate israelis hatred against arabs, whether it is due to personal loss, or racism, or both. It is a never-ending debate, much like the arab-israeli conflict. But I should mention that my statement is based mostly on my research among lebanese and palestinians so far. The ‘bitterness of war’ comment that I made does not cancel out the existence of racism, but neither is it based on idealism. I spend a lot of time making assessments with people of all backgrounds. I realized that while racism does very much exist, it is usually a tool that is used to manipulate and make use of people’s pain and personal loss. And it works very well. These people who boycotted the Lara Fabian concert are not doing so because they have a problem with judaism or jews. There are a lot of jewish figures that come here, and I am not referring to Noam Chomsky or Norman Finkelstein. The ones who boycotted as well as those who did not have both lost their loved ones to Israel’s bombs and guns, torture prisons during the war, disappearances, suffered from illegal phosphorus weapons and mines, looked for body parts of relatives under broken houses etc. But each group looked at the matter differently. Yet the basis of the argument of the boycott was not their problem with Judaism. It is their problem with Israel’s actions against their people. So yes, it is based on a very tangible reality, and it is amusing when it is questioned as to why that such people should be “offended”, or why these groups exist. People who visit this site often will not agree with anything I have said above, since this blog is very strictly one-sided. I don’t usually comment unless I am quite sure of what I have to say. I know that the general response to some of my statements will be about the arab aggression against israelis or jews, but I do not intend to disagree or argue against you, as human nature, racism and hatred exists on both sides just as personal loss and grief is the same on both sides. Again. There is a general understanding among many groups, to differentiate between Judaism, Zionism and having the Israeli nationality. In Lebanon, the lines that defined these three categories were blurred in 1982. Unfortunately, among the older generations who lived in mixed areas before the 80’s there is much less anti-semitism compared to the majority of the new generation, who have been born in post war beirut, thus not having a real idea of the integration of the jewish community in lebanese society in the in pre-war period. The passovers I was referring to was not one hosted by the local jewish community, as they prefer to keep their privacy. It was something a jewish friend of mine wished to do, while inviting people of all backgrounds. It was a pleasant and quite successful experience. And no, Lebanon is not being dominated by Islam. You don’t have to agree, and you don’t have to believe me. But I know the city I walk in everyday. I know the street that has shops owned by armenian christians that sell pork and alcohol which is 10 meters away from the street where very conservative muslims live, which is also just round the block from a line of pubs, where across the road to the left you walk to the church that is situated just next to a cafe crowded with communists. And the same government that is claimed to be dominated by hezbollah approved Lara Fabian’s visa. Madonna is a powerful woman with many well-placed friends and millions of fans. Look at how many watched her Superbowl half-time performance. A person like that going out of her way to promote Israel by making it the first stop on her tour, despite the threats, is a hero to me. I am in her age group and always admired her determination and ability at a time when women were just starting to throw off the bonds of second-class citizenship. That she doesn’t keep her interest in Judaism a secret is also worthy of admiration. No one on this website has said the concert boycott was “violent”, we’ve said it’s just another attempt to delegitimize the very existence of Israel itself. Your moral equivilence between anti-Semitic Arabs who want Israel destroyed(and please don’t give me that “Arabs are Semites too” argument), and Israelis who have simply wished to be left alone in a Jew-hating,hostile neighborhood has no credibility. The IDF, to their very peril, went OUT OF THEIR WAY to avoid civilian casualties in their war against the vicious terrorist Hezbollah, who like so many other Arab terrorists uses civilians as human shields in places like schools,churches,hospitals,etc. Either your “research” is heavily flawed, or you’re simply coming to the wrong conclusions. The fact there are some leftist and/or self-hating Jews joining in the boycott/anti-Israel cause is certainly not unusual.Chomsky and Finklestein simply represent the extreme wing of those self-hating Jews. Martin Luther King correctly said anti-Zionism is anti-Semitism. Local Jewish “community”? There’s not even 50 Jews left in Lebanon. Most fled after the civil war in the 70s. Lebanon is dominated by Hezbollah.Unfortunately,even some Christians collaborate with Hezbollah. This Shiite who you say is a friend of the Jews is a symbol of the problem ; there are far too few people like him in the Arab world and far too many of the Jew-haters. Technically, not arabs, but people of the levant are semites, which includes my country. It isn’t really a provocative fact. But I am not obsessed with not using the term anti-semitism to refer to racism against jews. They have a right to openly proclaim what they wish concerning Israel, so long as its non-violent. And you have the right to argue back at why you don’t think that it is credible for them to do so. So I don’t have an argument to debate here. Your second point shows that you do not acknowledge that fundamentalism, violence and racism can be initiated or occur on the side of Israelis. Since we disagree on this point, there is also no debate to pursue here. Your third point shows that you got your information from the media and that soothes your conscious. It is your right to choose what you wish to believe, and it is my right to believe what I have seen and experienced. The times that hezbollah’s locations in the war have been responsible for the death of many, have been used to cover up the many more times that Israel had attacked in areas that had nothing to do with hezbollah. The attacks on the red cross ambulances and other transports of humanitarian relief, the attack on the open pickup crammed with children killed by an israeli helicopter who shot at them at a very clear distance. The fact that they sent people leaflets to escape before the area was attacked, and as the civilians were leaving the area, they were attacked and entire families were turned into pieces of charcoal in a matter of minutes. Dropping millions of cluster bombs in homes and civilian property, three days before the ceasefire was publicly scheduled to end. The use of illegal chemical weapons that burns people flesh, which I could still smell days after the attacks, are not examples of hezbollah hiding behind civilians targets, and they are quite the opposite of the idf going out of their way to prevent civilian casualties. There are many more I can tell you of, but it will not really make much of a difference. When I refer to my “research”, it means information that I have taken as a primary source. And I make it clear when I get my information from a secondary source or otherwise. But neither comes from relying on the media to form my credibility. I follow the matter on its ground whenever possible. I consider myself a “doubting thomas”; that I do not make complete, final opinions on matters unless I see or witness them for myself. We have a local jewish community, and they are not limited to 50 people. As I said, they like their privacy, so I will not comment further on the matter. The significant turning point for the demise of the jewish community in lebanon was in the years 1982 to 1985, not the 70s. However, an organisation was established also by a young shiite lebanese to reconnect the jewish lebanese culture and work on the difficult mission to bring them back home. This has led to the awareness that pushed to renovate the synagogue. So I dont think they are so few as you imagine. Oh please, Nat. The Jews there like their privacy because they live under threat. How clownish and dishonest of you to suggest otherwise. I did not suggest otherwise. I’ve always admired lara but after she sang in Hebrew and supported israel I lost interest! I’m lebanese and I’m muslim sunni but believe me that don’t have anything to do with my hatred for israel! As I’m not religious and even more I’m gay!! Artist should not deal with politics! Artists should spread love and happiness not to take anyone’s side!she wasent wise enough and now she should deal with it! After all you can’t support israel and celebrate valentine at the same time! Not in lebanon anyways! Cheers! She wasn’t dealing with politics. She was singing a song. So what if it was in Hebrew. She was there singing for the people. Lara Fabian is Not political one bit. I am a huge fan of hers and have been since her first English album came out I believe in 98 or 2000. She is an international star and is famous in many countries. She has been in Russia for the last 8 yrs now singing in French and the Russians love her. Now she can speak some Russian and is singing in Russian. She got Song of The Year there in 2012. She has a great love for humanity whoever and wherever they are from and she claims “we are one under one sky.” China even asked her to come sing at their Winter Olympics I believe in 2006 and she sang a song in English called “Always!” In this song is that quote I just spoke of. So for you to say there are consequences for what she said is like your saying she deserves this. And she is a Beautiful person with much love and Does Not deserve that statement. It discredits her and she deserves our support. She was leaving the stage and merely saying I love you Isreal, like saying Goodbye, I love you. She could have been in any country and said the same thing. She was telling the people there she loved them. She is not anti-anything and is So talented. She now can sings in 7 languages and speaks in 5 fluently. She sings also in 4 different octaves. Who can Do That? Only Lara Fabian can. Also, she was not boycotted, she got threats on facebook from these people and decided to cancel the concert because she feared for her life. How sad is that? But still, because of her love for her Lebonese fans, she decided to air a concert just for them and she did. I watched the whole concert on YouTube. How sweet is that? I don’t think just anyone would do that, says a lot about her character. Kudos to her parents that raised her! I know all of these comments were almost a year ago, but I had to respond in defense of Lara Fabian to Ali, since she can’t be here to do it herself. Setting the record straight, I could not let the last comment said about her be the last!